Learning how to straighten men’s hair is actually a common concern for many guys. Straight hair is often easier to manage and for some people, straight locks suit their face better. The good news is that you can straighten male hair quickly and efficiently with the use of old school methods. The bad news is that you’ll have to buy several products that are typically used by women. Choose from any of the techniques given below. Note that if you’re going to use any gel or product on your hair, it’s a good idea to wash it thoroughly first before application. The most obvious solution that’s not always available to guys. In order for flat irons to work, you need to have hair that’s long enough to be grasped by the iron. Hence, you might want to grow your hair a little longer before using this method. Also bear in mind that flat irons have some pitfalls you’ll have to watch out for. 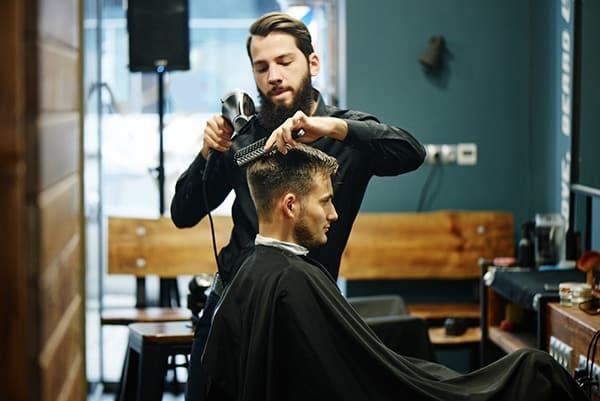 For one thing, holding the iron too long on your hair can damage it – not to mention burn it off so that the hair is cut in a very awkward place. If you’re not careful, the iron can also singe your skin. Ideally, you should use the lowest setting of the flat iron when straightening your hair. Only increase the temperature if it’s not working but for the most part, the lowest temperature would be perfect. When using a flat iron, it’s important that your hair is COMPLETELY dry. You might also want to use a heat protection serum to make sure that your hair isn’t damaged by the procedure. If you’re not a fan of a flat iron, you can always use a blow dryer to help with hair straightening. Make sure your hair is slightly damp from the shower before trying out this technique. Grab your blow dryer and a comb and run this over small sections of hair as you aim the blow dryer. Make sure to straighten the hair completely so that it dries in that perfectly linear way. Note that blow dryers can also singe the scalp and skin so try not to place it too near you. Ideally, the dryer should be wiggled a little in order to distribute the heat and prevent the scalp from being burned. This is a method of hair straightening that will give you straight locks in under one hour of salon procedure. It makes use of certain chemicals that can cause damage to your hair if not used properly. The method can be quite pricey and you should know that the process is banned in some countries. Canada and the EU, in particular, don’t allow the procedure in their salons because of the chemicals contained. So does that mean that Brazilian keratin has negative effects on your health? Not really – so far, there are no drastic side effects associated with the procedure. Note though that the straightening effects aren’t permanent. For the most part, you can expect your hair to retain that smooth perfectly straight length for 6 to 8 weeks. This one’s another salon-only method and works pretty much like the Brazilian Keratin method. You can probably equate hair relaxing with a perm that helps produce curly hair. Obviously, you’ll have to shell out some cash to undergo this procedure. The good news is that the effects tend to last longer while others may even argue that it’s permanent. In truth, hair relaxing should be done on a routine basis to affect the roots of your hair. Basically, the hair strands already ‘relaxed’ remain straight permanently, but new hair growth will be in waves if you have naturally curvy hair. 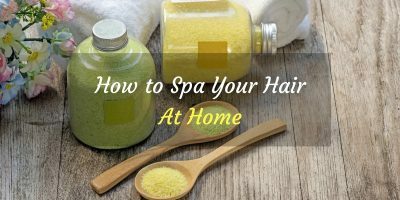 Note that hair relaxing is damaging for your hair. You’ll want to use special shampoo and conditioner everyday in order to help repair the hair after undergoing the relaxing procedure. Should you wish to have naturally curly hair again, you’ll have cut the part that’s been relaxed and allow the roots to grow. Fortunately for guys, this shouldn’t be a problem. This is one popular home remedy and is said to help straighten hair. 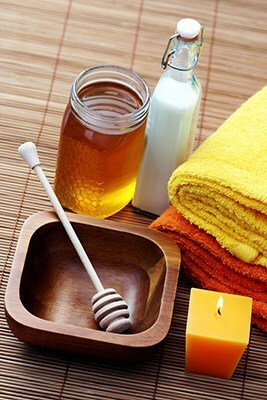 Just mix milk and honey together, creating a paste that you can apply on your hair. Leave it there for a few minutes while you do your chores. If you can take a shower cap to confine the concoction, that would be so much better. Once done, rinse it off with warm water. The only drawback to this method is that you don’t see results instantly – perhaps you should wait around 3 to 4 weeks before actual hair straightening becomes evident. The good news is that both honey and milk are great for your hair. Even if your hair doesn’t straighten out – you can be sure that it will clean your locks and make them stronger. If you’re not a fan of this mix, you can also try the egg and olive oil paste which can be applied the same way. Again, this one might take a long time before results show. Sometimes, you don’t have to go to extremes in order to get that wonderfully straight hair. Just limiting your hair length to about 1 to 2 inches should give you that straight hair you want. This is because longer hair is more likely to curve. Guys with large curls in their hair can easily get away with short spikes of straight hair with the right cut. The good news is that short and spiky hair is fairly common in many males. You shouldn’t have any problem finding a barber or hairstylist who can give you this particular cut. This one seems a little questionable – but there have been reports of how well it worked for them. Basically, all you do is puree some celery juice and wash your hair in it. Leave the juice to stick to your hair and scalp for a few minutes – perhaps even as long as 30 minutes. Wash it off afterwards with warm water. 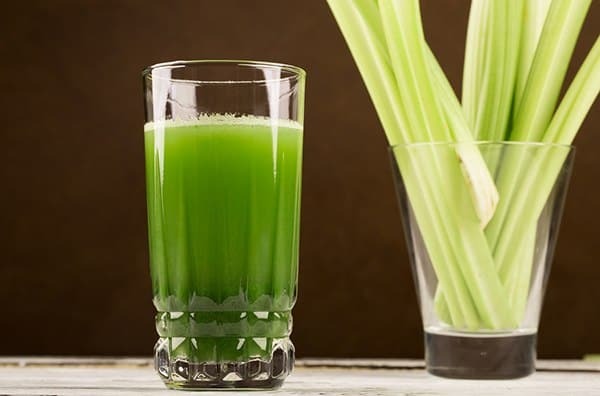 Try to use a juicer instead of a blender for your celery rinse. This way, you don’t have to worry about large portions of celery flesh getting stuck in between the strands. In the same way, you can use hair gel or oil to place curls in your hair, these creams can also be used to straighten them. More specifically, this works for short hair around 1 to 2 inches in length. Just grab whatever gel you have and start lathering it all over your hair. Use your fingers to comb your hair upwards for a ‘spiky’ look. Allow the gel to settle and pretty soon, you’ll have the illusion of straight hair. The beauty of this is that you can easily wash the gel off and go back to your old hairstyle whenever you want. 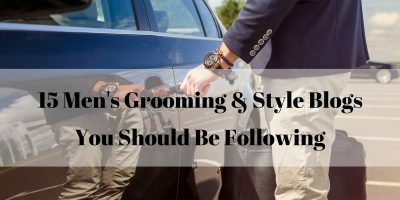 Guys often don’t care about their hair – but there are those who prefer to have straight hair instead of one that falls into waves. That’s not really surprising considering how many girls are also willing to trade their curly locks for straight hair. This is because straight hair is so much more manageable. They’re incredibly easy to style and look neater than the curly version. Of course, some guys may find that straight hair doesn’t go with their overall look. Make sure to ask a trusted hairstylist to find out if the straight hair you want would actually be a good idea based on your facial features. Of course, straight hair is not always a good thing. You might find that some drawbacks are present when attempting to straighten out your hair. To start off, it can be a time waster to work on hair straightening. The process of turning straight hair to curly hair is often easier and takes less time to accomplish. The use of heated devices for hair straightening can also be an issue. Guys who aren’t used to flat irons or blow dryers should first try to practice before really going at it with their hair. Also note that certain gels and oils can cause your hair to become damaged and weaken. 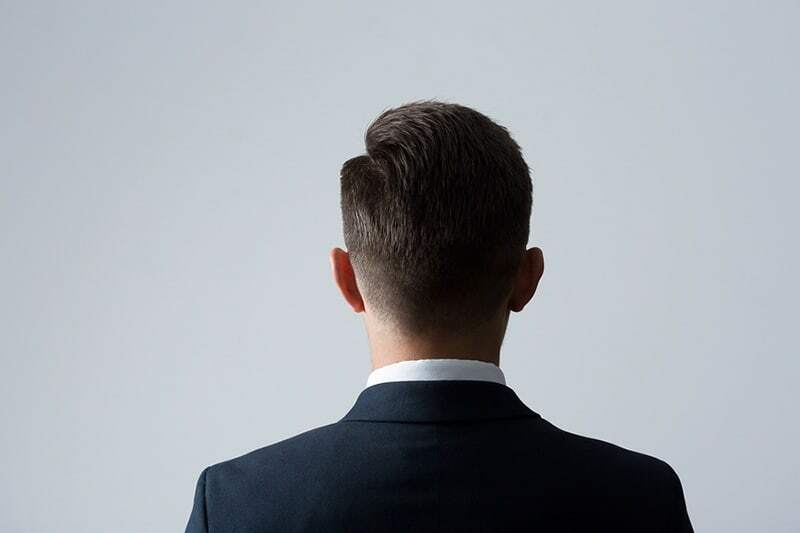 While split ends are not a common issue for guys, be aware that it CAN happen to you. Hair thinning is also another possibility. Curly hair has the appearance of more volume and therefore creates the illusion of thickness. Guys who straighten their hair are often surprised with how thin their hair look after it gets that smooth and vertical form. It might feel like you’re starting to lose your hair – but don’t worry because this might not be the case at all! So, is learning how to straighten men’s hair worth it? Probably YES – you never really know until you’ve tried it out yourself. Although there are definitely some drawbacks to the process – you shouldn’t let this stop you! Feel free to play and experiment and find out how to straighten men’s hair – just to see what it would be like!